ASI Instruments has provided researchers with an economical and flexible answer to their positioning needs: The MD-2500 Microdrive System. 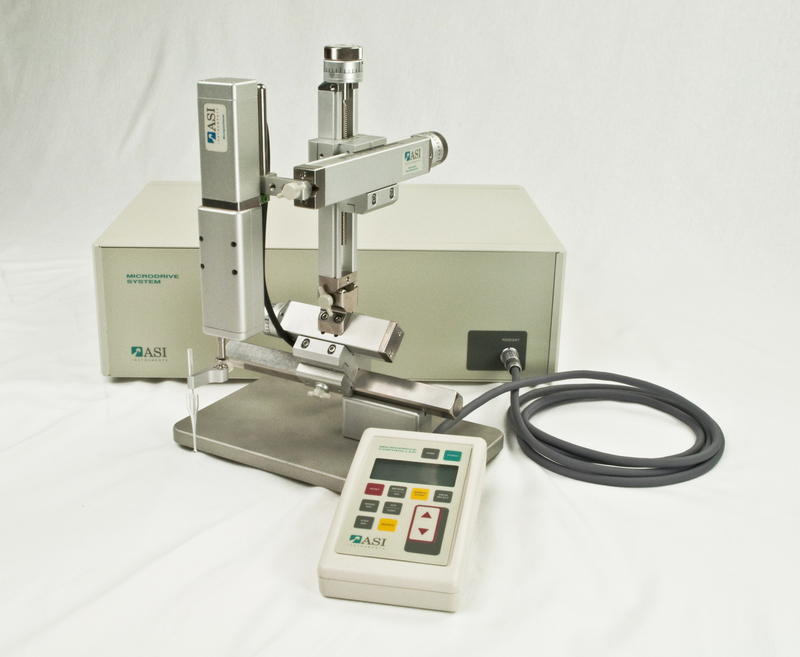 This unit is perfect for positioning probes/electrodes for patch clamps, microdialysis, microinjection, or any other application which requires stable remote submicron movement. In-vivo or in-vitro, this microprocessor controlled system can handle all of your positioning needs. 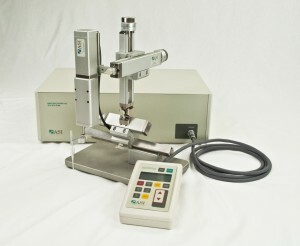 This system is designed to minimize bench space used in the immediate area of your research via the easy to use hand held pendant control with readout. In this way, the central processing unit can be placed in a remote location, yet all of the critical control and reporting functions are displayed at your fingertips, leaving more working space for you and other equipment. One unique feature of the MD-2500 Microdrive System is the utilization of a DC Servo motor instead of a Piezo or Stepper motor. This reduces electronic noise and allows the unit to be used in a true continuous motion function. Our Microdrive System has been designed with your future needs in mind. With it’s ability to add on additional micropositioners, which can also be controlled by the hand held pendant, there is no need to purchase additional central processing units or additional pendants. This is great cost savings over other systems!